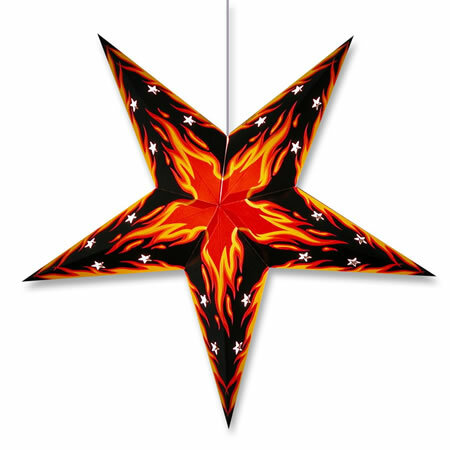 This wholesale hanging paper star lamp is for the Harley rider in all of us! Cool paper star lamp design with bike riding attitude. Paper star lamp measures about 24" across and 6" deep, ships flat with complete assembly instructions. 12' electric cord with on/off switch optional for a little more. 40 watt lightbulb not included. Wholesale paper star lantern.